We got our quilts back from Kari, and they are grand. I've spent the last 2 days sewing on the binding. That's a rather enjoyable job, especially on a cold and rainy evening. I have even made a pot of tea the last several nights - a sure sign of fall. Hope you are lucky to have some FALL where you are. 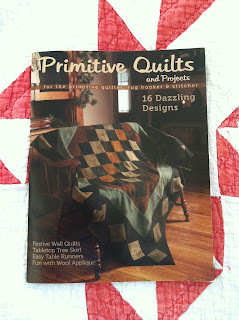 Even if you don't, the Primitive Quilts & Projects magazine will have you thinking, tasting, touching and smelling Fall. 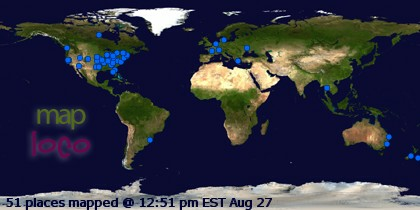 Email me here, ladies and I'll get them right out to you. 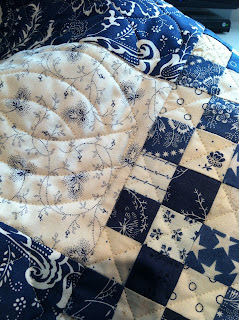 I just have to let you know how much I love the scraps of Indigo Crossings that I won on your blog. 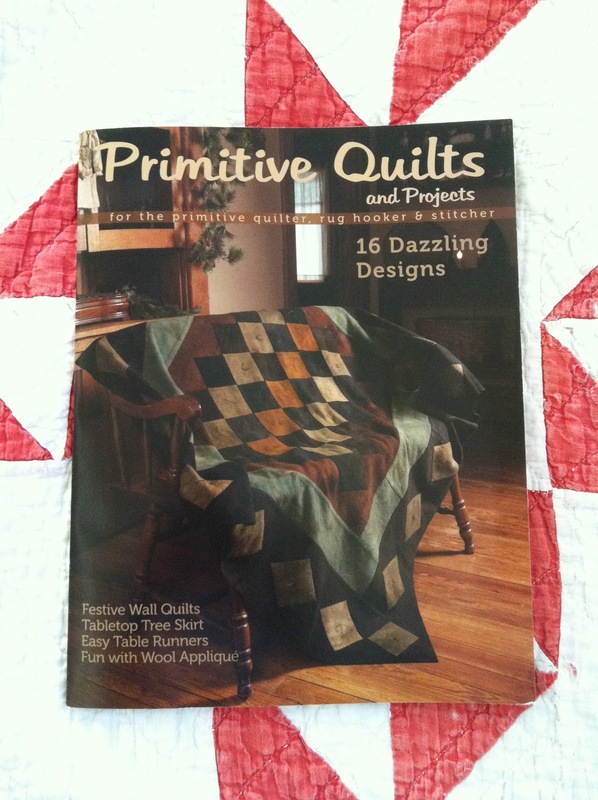 I am happily cutting the strips for several scrappy projects. Love the colors and the hand of the fabric. I will absolutely be buying some when it becomes available. That sneak peek looks very interesting. Can't wait to see more. Go Tigers! I am drooling over the blue and white quilt! GORGEOUS!! !